This elevated version of win-win implies that the path to an agreement should be open, respectful, non competitive and happy. 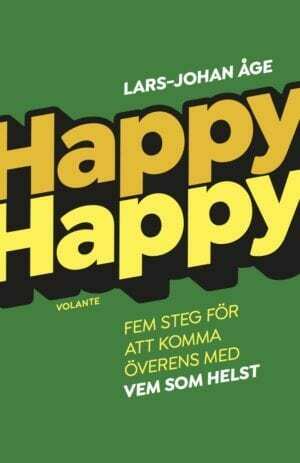 Happy Happy focuses on the satisfaction, the relationship, the cooperation and the future. The method is easily deployed in everyday life. It is backed up by research and scientific experiments within Psychology, Behavioral Science and Economics, and yet easy to understand and embrace. Lars-Johan Åge presents the method with every day examples that are easy to relate to and therefore you will be ready to use it as soon as you hear about it. Actually, Happy Happy is not just a concept, it is a way of living.